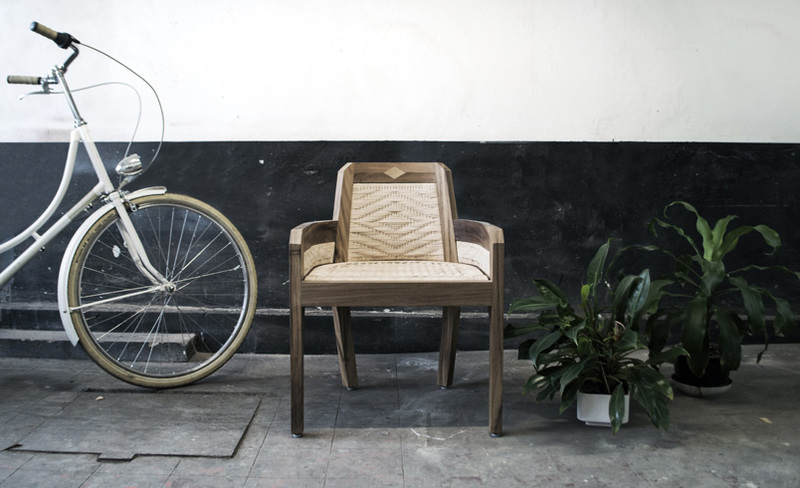 Each product has a unique design and personality, mob aims to honor the handcrafts and mexican artisans that devote their lives to maintain and nurse their traditions, that is the reason why every piece of furniture that resulted from this collection is named after the handcrafters and artisans that were involved in the manufacturing and creative process of the products. The curiosity of working with this material and with the professional weavers is the main reason for the creation of this piece. 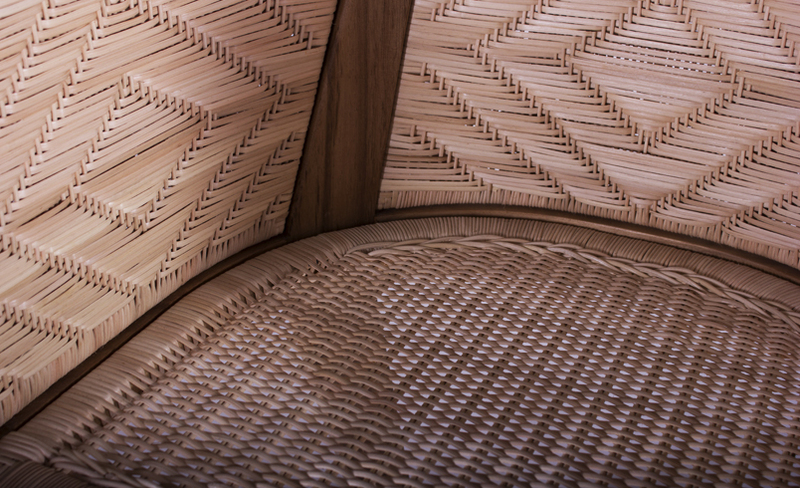 The García chair reflects the essence and personality of a traditional mexican osier chair, trans- lated to a contemporary armchair. 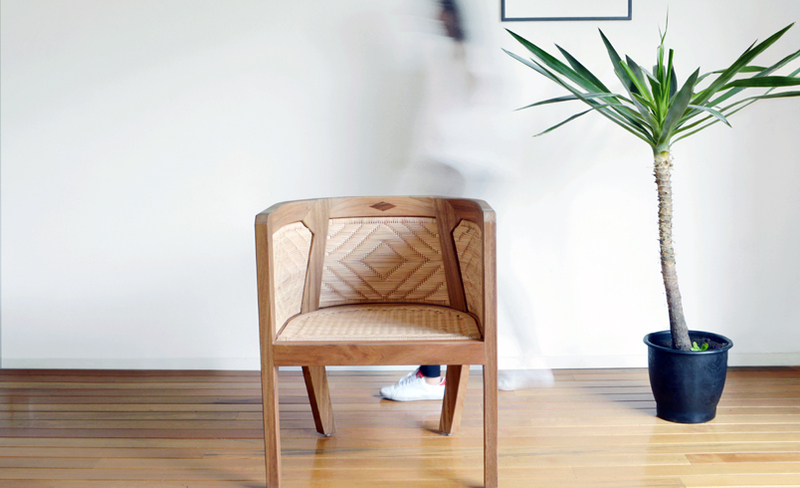 The solid wood structure merges unusual forms and joints as well as a new weaving pattern, which was developed exclusively for the production of this armchair, this process represented a whole challenge to the weavers. 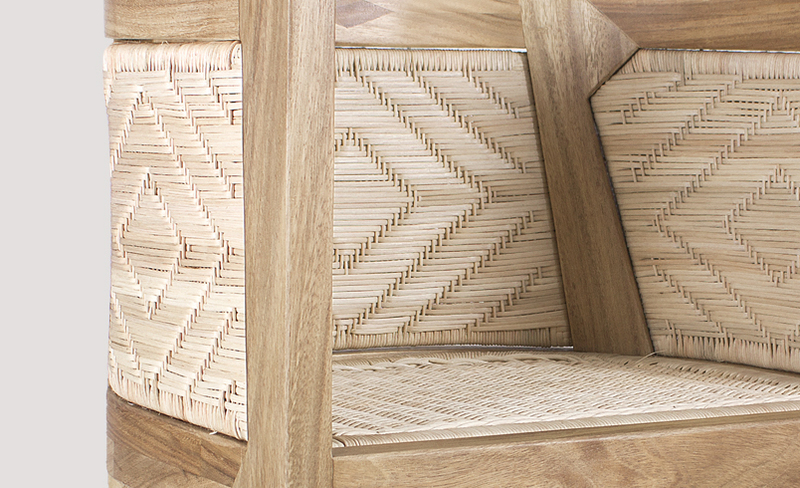 Solid guanacaste wood with a wax finish and osier with water based varnish.